On October 30th, 2018, after nine years of faithful service, the Kepler Space Telescope was officially retired. With nearly 4000 candidates and 2,662 confirmed exoplanets to its credit, no other telescope has managed to teach us more about the worlds that exist beyond our solar system. In the coming years, multiple next-generation telescopes will be deployed that will attempt to build on the foundation Kepler built. And yet, even in retirement, Kepler is still providing us with impressive discoveries. For starters, NASA started the new year by announcing the discovery of several new exoplanets, including a Super-Earth and a Saturn-sized gas giant, as well as an unusually-sized planet that straddles these two categories. 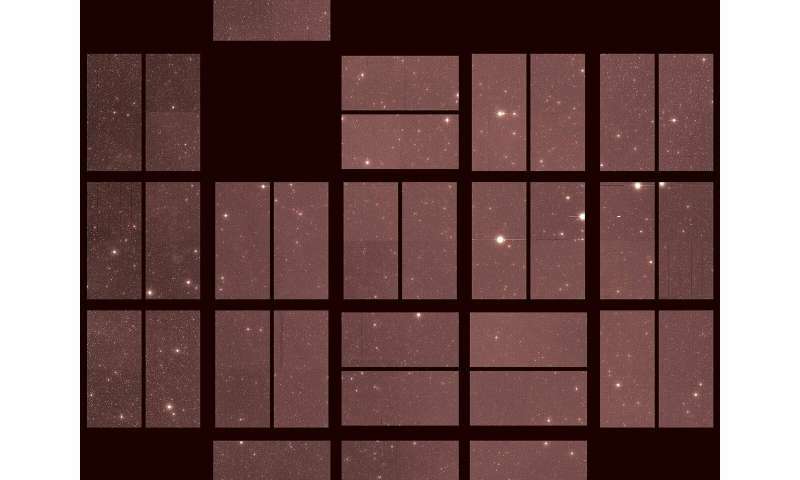 On top of that, NASA recently released the "last lighty" image and recordings obtained by Kepler before it ran out of fuel and ended its mission. Kepler's final image, taken on Sept. 25th, 2018, represents the "last light" obtained by the space telescope. The blackened gaps in the center and along the top are the result of earlier random part failures in the camera. However, these did not affect the rest of the instrument, nor did they interfere with Kepler obtaining this last glimpse at the cosmos. 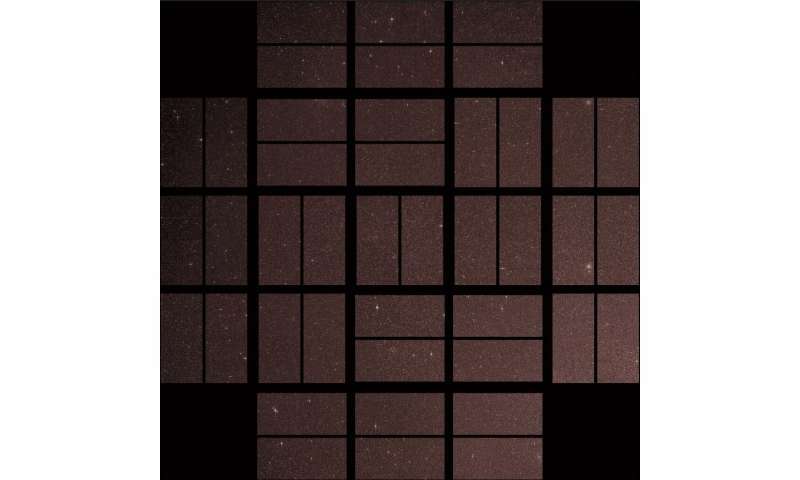 It also comes nine and a half years after Kepler began its exoplanet-hunting journey with its "first light" image (shown above). This image was the result of a 60-second exposure taken on April 8th, 2009 – one day after the spacecraft's dust cover was jettisoned – and featured a full-field view of a patch of sky in the constellations Cygnus and Lyra. The "last light" image was part of Kepler's final observation campaign, which was part of its "K2 Second Light" mission extension. This mission commenced in 2013 and lasted right up until the last of Kepler's fuel was expended. For this campaign, Kepler was pointed in the direction of the Aquarius constellation, where it caught sight of some renowned star systems. These included the TRAPPIST-1 system, which became famous in 2017 when astronomers announced that it has a system of seven rocky planets (three of which are located in the stars habitable zone). Kepler also observed GJ 9827, a nearby star where three possible Super-Earths were detected in 2017 – and which are considered excellent candidates for follow-up transit surveys that could reveal things about their atmospheres. And then there was K2-138, a large early K-type (orange dwarf) main sequence star located almost 600 light years away from the solar system. Beginning in April of 2017, citizen scientists discovered a system of up to 6 planets while sifting through Kepler data. This was also the first time that citizen scientists had discovered a planetary system. 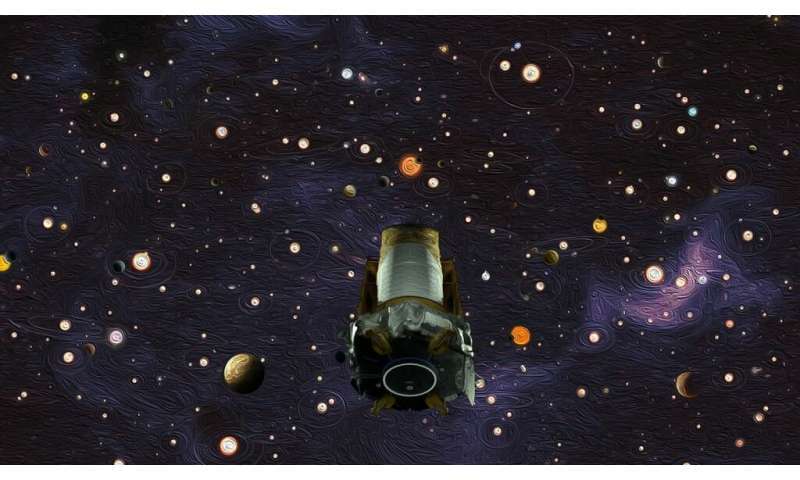 During this final observation, Kepler's field of view also slightly overlapped with NASA's new planet-hunter, the Transiting Exoplanet Survey Satellite (TESS), which took to space in April of 2018. As the successor to Kepler, this space telescope will similarly rely on Transit Photometry to search for thousands of exoplanets around 200,000 main-sequence dwarf stars. In addition to the static snapshots, Kepler's camera also recorded 30-minute segments of selected targets. The purpose of these recordings was to measure the brightness of the stars, which is essential for not only detecting transits by exoplanets but also understanding key aspects of stellar behavior. The recording continued several hours after the "last light" image was taken and all data collection ceased. NASA recently released videos of the recordings of these stars, which included TRAPPIST-1, GJ 9827, K2-138. The apparent motion of the stars in the video are due to the motions of Kepler itself, which was experiencing decreasing thruster performance as it neared the end of its fuel. This final image and recordings represent the final page in the final chapter of Kepler's journey, which began nine and a half years ago and revolutionized exoplanet studies. In total, Kepler discovered almost 4000 planetary candidates beyond our solar system, confirmed the existence of more than 2,600, and statistically demonstrated that our galaxy has even more planets than stars. In the coming years, Kepler's work will be followed up by many next-generation telescopes. These include TESS, which has already launched, as well as the James Webb Space Telescope (JWST) and the Wide-Field Infrared Survey Telescope (WFIRST) – which are scheduled to launch in 2021 and the mid-2020s. Using their improved optical, infrared and spectrographic instruments, these missions are expected to discover several thousand more exoplanets. It is also anticipated that they will play a key role in the growing field of exoplanet characterization, where superior resolution and imaging capabilities are allowing scientists to study the atmospheres of planets and search for signs of life.